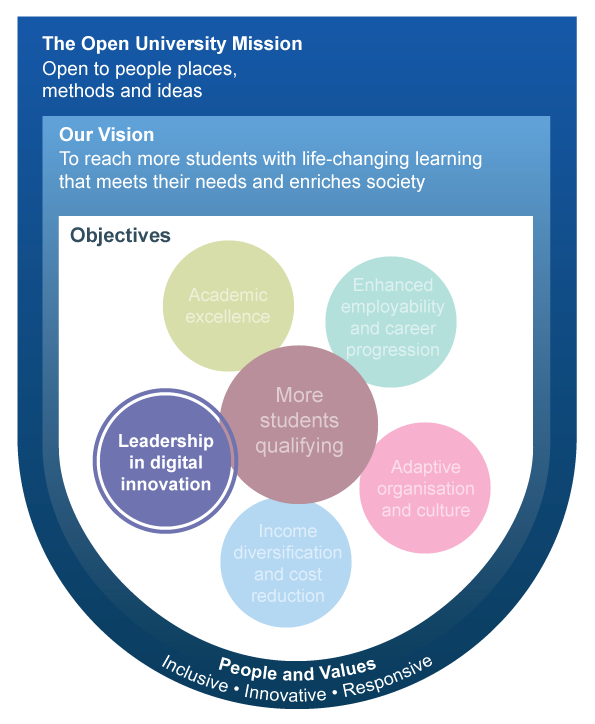 The Students First Strategy has been created by the Vice-Chancellor and VCE following the submission of the Students First paper in the summer and the consultation with staff. The strategy is now seeking wider input from staff. Gain input from staff to refine and improve the strategy. Build a broad understanding of where the University is going and why. So far, five workshops have taken place on More Students Qualifying; Academic Excellence; Enhanced Employability and Career Progression; Income Diversification and Cost Reduction; Adaptive Organisation and Culture. Here in this website we bring together some material to stimulate discussion as we gather input from across the whole of the University for this area and to announce a Leadership in Digital Innovation Workshop that we will run on Tuesday May 3rd 1.00 - 4.00pm in the Hub Theatre, Walton Hall. The way we work, live and play has changed thanks to digital innovation. Below are a few examples of disruptive companies that have had an impact. For example, Uber is now worth $40-50 billion, Airbnb $25.5 billion and the app revolution has added over half a million iOS jobs to the European economy since the Apple App Store opened in 2008 (75 billion downloads up until 2014). What types of digital disruption will we see in teaching and learning? We would really like to see a broad spectrum of OU staff and students to come along to our Leadership in Digital Innovation Workshop to examine this question. You can give input before the workshop by tweeting using the hashtag #OUDigitalInnovation or adding a comment at the bottom of this web page. 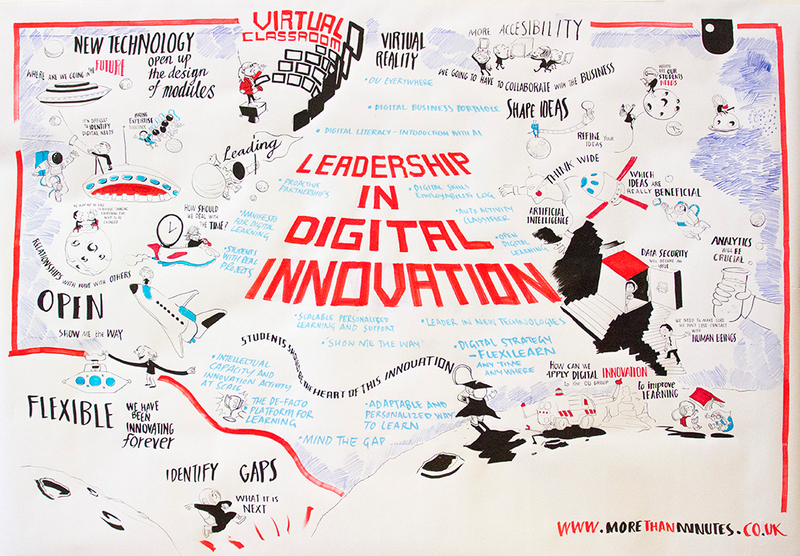 We are hosting a workshop on Tuesday 3 May, 13:00–16:00, in the Hub Theatre, and we want you to come along and contribute to how we take forward the strategic objective of Leadership in Digital Innovation. "The world is caught in a communications revolution, the effects of which will go beyond those of the industrial revolution of two centuries ago. Then the great advance was the invention of machines to multiply the potency of men's muscles. Now the great new advance is the invention of machines to multiply the potency of men's [sic] minds. As the steam engine was to the first revolution, so the computer is to the second. It has been said that the addiction of the traditional university to the lecture room is a sign of its inability to adjust to the development of the printing press. That of course is unjust. But at least no such reproach will be levelled at The Open University in the communications revolution. Every new form of human communication will be examined to see how it can be used to raise and broaden the level of human understanding. There is no restriction on techniques." "I have seen first-hand the transformative power of learning around the world, especially when coupled with technology. The Open University has been making a life-changing difference to hundreds of thousands of people by providing them, through distance learning, with an education that may otherwise have been unattainable." "Throughout the history of education there has been an insidious link between quality and exclusivity in education... the good tidings is that technology has shown that it can break that insidious link once and for all." The Open University looks ahead to the year 2000 and the role Information Technology courses will play. Students on the DT200 course discuss the problem of purchasing or renting a computer. Imagine it's ten years in the future. You're one of ONE BILLION people who are using a new technology to track their learning and income. This new technology is known as THE LEDGER. General assembly at Cranfield Institute of Technology, discusses consultative committees, the teaching system and the use of the computer in the University. The first of the new look Open Forum programmes looking at New Technology: teaching by Interactive VideoDisk, Stress at work disk and a visit to exhibition of Educational Technology. 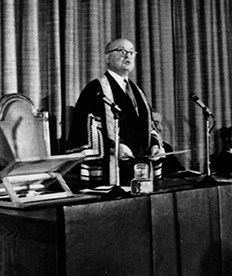 In the Charter Ceremony speech Chancellor Lord Crowther mentions that the OU is open to methods - "every new form of human communication will be examined..."
The Student Computing Service started in 1970 as a sub unit of the Faculty of Mathematics to serve the M100 course. There were three HP 2000 computers, one each in Newcastle, London and Milton Keynes. They were dedicated to run BASIC. The University's first four courses are launched. Students receive their home experiment kits though the post - including the award-winning McArthur Microscope - a handheld microscope adapted for the University by the designer. Adaptations included the use of moulded plastic - more economical to make and cheaper to send through the post to the students. Courses using this service included M251: "An Algorithmic Approach to Computing" and PM951 "Computers and Computing"
Aldwyn Cooper: Cicero itself is really just a computer. We're trying to provide some kind of personalised teaching service for each student that they don't get from their human tutors. When they go along to a human tutorial really all that a human tutor has time for is to provide a general overall level of knowledge for all the students who care to attend. What we're trying to do is to access each student's level of knowledge and to try to give them some kind of personal advice as to how they may best pursue the rest of their year. Singleton: And what happened then Jane? The Cyclops machine was also developed – an 'electronic blackboard' linking students through telephone lines and drawing on TV screens. This effectively enabled a tutor to communicate via voice and drawings – 'telewriting' – to distance students with a terminal. The first Home Computing Policy was introduced (HCP1). This policy was driven by a number of far thinking people including Norman Gowar, Jim Burrows, John Naughton and others. A substantial grant was raised from the Department of Education which allowed us to set up a loan scheme with about 2,500 computers. The computer specification was: 512 kB RAM, single 5.25" DD floppy disk drive, CGA mono monitor and MS-DOS 2.1 with Gem version 2. Effectively this meant an Amstrad 1512. We cut a deal with Alan Sugar to allow OU students to purchase this machine, with a printer for £500. (Probably about five times that in 2009 prices?) The first three courses were DT200, and M205 and M371. There were about 5,000 students and 47,000 floppy discs were distributed in this first year. Chaired by Nick Heap, this was a groundbreaking course. Enormously popular, in its first few years it had around 2000 students. Geoff Einon & Steve Majithia were key players in the software development. Not only did it introduce students to the basics of what we now call Office software: First Word Plus, Lotus-123, DacEasy Base, Gem Paint it also used the budding Internet. Students communicated with each other using the Cosy conferencing system. In addition they had to carry out a survey, enter the results into DacEasy base and use Kermit to send it out to the University. Here, we had developed a system to collate all the students data. They then downloaded this collated data and at the write a TMA comparing and contrasting some aspect of the survey. The Open University started building virtual microscopes in 1993 when a team of earth scientists and educational technologists joined together to push the boundaries in the teaching of optical microscopy for earth scientists. The first compulsory use of FirstClass was on Tone Hasemer's LISP course (DM863). This was hosted on the Phoenix server (ie the EMERG team's own server) and played a part in helping to persuade ACS to support FirstClass. The Homer CD-ROM was the OU's first venture into multi-media. It was used as part of 'A295 Homer: Poetry and Society'. In August and September 1994, a Virtual Summer School (VSS) for an Open University undergraduate course enabled students to attend an experimental version of summer school 'electronically', i.e. from their own homes using a computer and a modem. VSS students were able to participate in group discussions, run experiments, obtain one-to-one tuition, listen to lectures, ask questions, participate as subjects in experiments, conduct literature searches, browse original journal publications, work in project teams, undertake statistical analyses, prepare and submit nicely formatted individual or joint written work, prepare plenary session presentations, and even socialize and chit-chat, all without ever leaving their homes. The term 'Virtual Summer School' was used to mean that the software packages supplied to students emulate many aspects of a residential summer school, but without requiring physical attendance. In 1994, this was an experimental option for a dozen already-excused students on D309, which gave a low-risk entry in order to assess the viability of the approach. KMi was set up in recognition of the need for the Open University to be at the forefront of research and development in a convergence of areas that impacted on the OU's very nature: Cognitive and Learning Sciences, Artificial Intelligence and Semantic Technologies, and Multimedia. Some OU students were able to graduate at a distance. Project for Management of Integrated Scaleable Electronic Services "to provide systems, tools and procedures that will enable a large number of course teams to develop and maintain a basic online presence to support their teaching and learning activities"
Lyceum was developed at the Open University and was introduced into language tutorials in 2002. Lyceum is a synchronous form of computer-mediated communication that allows groups of people to speak to one another in real time over the Internet using Voice over IP conferencing. It also offers an interactive whiteboard, a concept mapping device, a word processor and a written text chat facility. The OU announced that it was going to use Moodle as the basis for its own VLE. The last of the course programmes was broadcast on BBC 2's late-night Learning Zone in December 2006. The OU continued to work with the BBC on 'peak time' programmes that were of general public interest (as well as including academic content). Digilab is a showcase within the OU library for tools, technologies and resources illustrating how today's technology can nurture tomorrow's learners. User guides explain how engaging interactive materials achieve successful learning outcomes. 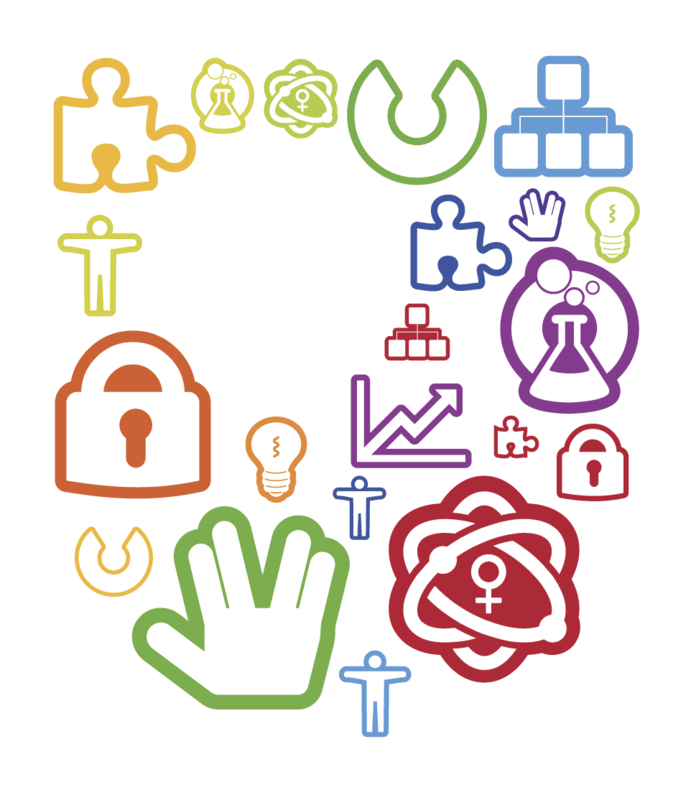 data.open.ac.uk is the home of open linked data from The Open University. We interlink and expose data available in various institutional repositories of the University and make it available openly for reuse. High quality online education - Free online courses from top universities and specialist organisations. OU Analyse is a project piloting machine-learning based methods for early identification of students at risk of failing. A list of such students is communicated weekly to the module and Student Support Teams to help them consider appropriate support. The overall objective is to significantly improve the retention of OU students. Ask questions or provide feedback using Twitter #OUDigitalInnovation or by clicking on the comments button below. Registration for the Leadership in Digital Innovation workshop is now closed.